Need help with finding a job? Looking to build a resume and/or cover letter? If you answered “yes” to either of these questions, then JobNow is the perfect database for you! 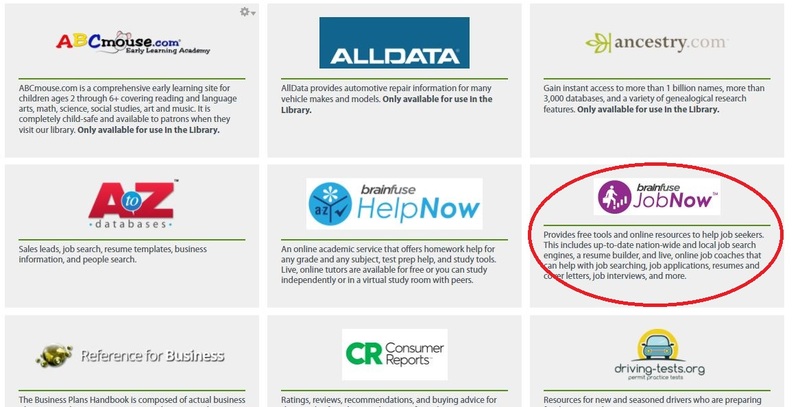 Last week I talked about HelpNow, a resource from a company called Brainfuse that provides homework help, test prep resources, and live tutoring. JobNow is another resource from Brainfuse and is a powerful resource that provides expert help with any part of the job searching process. With JobNow, you can meet online with expert job coaches, build resumes and cover letters using templates, and search for local and nation-wide jobs. It’s free to use with a valid FRVPLD card. 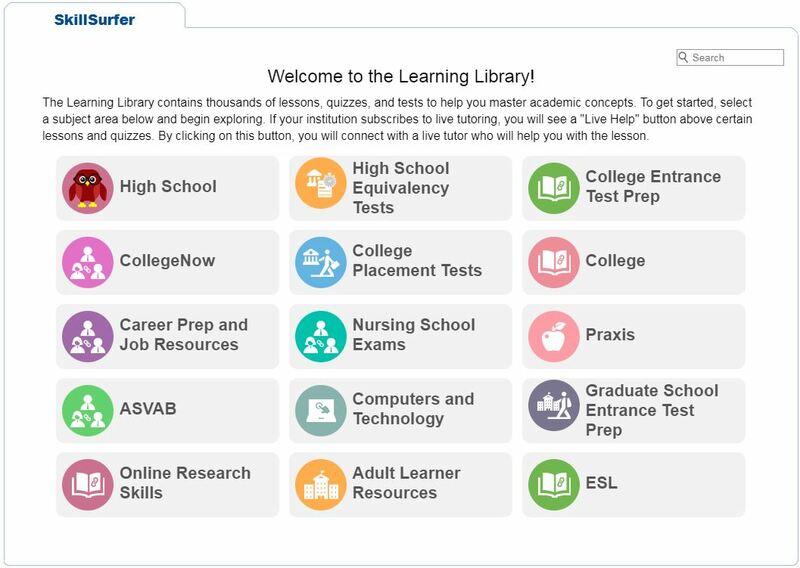 You’ll get a list of eResources in alphabetical order. 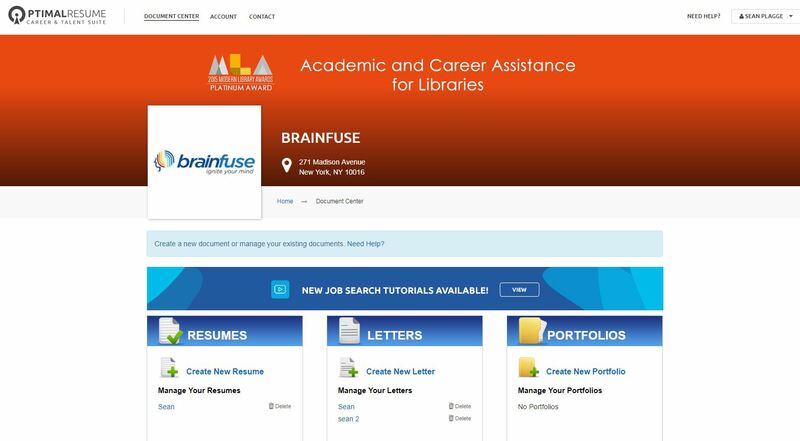 Scroll down to the “Bs” and click on “Brainfuse: JobNow"
If you are accessing from home, you will be asked to type in your library card number at this point. Then you’ll be taken to the JobNow homepage. Accessing at the library takes you right to the homepage. Choose a username, password, and security question then click “Next” and you’re good to go! JobNow has a variety of powerful tools to help with all aspects of the job searching process. Job search engines, a resume builder, and live job coaches are just a few of these tools. All job coaches are available from 2 pm to 11 pm central time, 7 days a week. JobNow provides job search engines powered by indeed.com, one for local searches and one for national searches. To bring up the search engines, click on “Job Resources” under the “Career” column on the right side of the screen on the JobNow homepage. Connect with a Job Coach for free in an online chatroom. Job Coaches can help with searching for jobs, applying for jobs, and preparing for jobs. To connect with a Job Coach, click on “Live Job Coach” under the “Career” column on the right side of the screen on the JobNow homepage. This will take you right into an online chatroom where a Job Coach will connect with you immediately. Like the Job Coaches, you can connect with a resume expert in an online chatroom and they will work with you on building a strong resume. From the JobNow homepage, click on “Live Resume Expert” in the “Resume” column on the left side of the screen. Alternatively, if you can’t connect live you can use the “Resume Lab” under that same column to send a copy of your resume to an expert who will look at it and respond within 24 hours with feedback. You can use either of these tools for cover letters as well. Creating a resume for the first time or starting a new resume from scratch? JobNow provides resume templates that you can use and just simply fill in your information. They provide different formats so you can choose the one you like best. 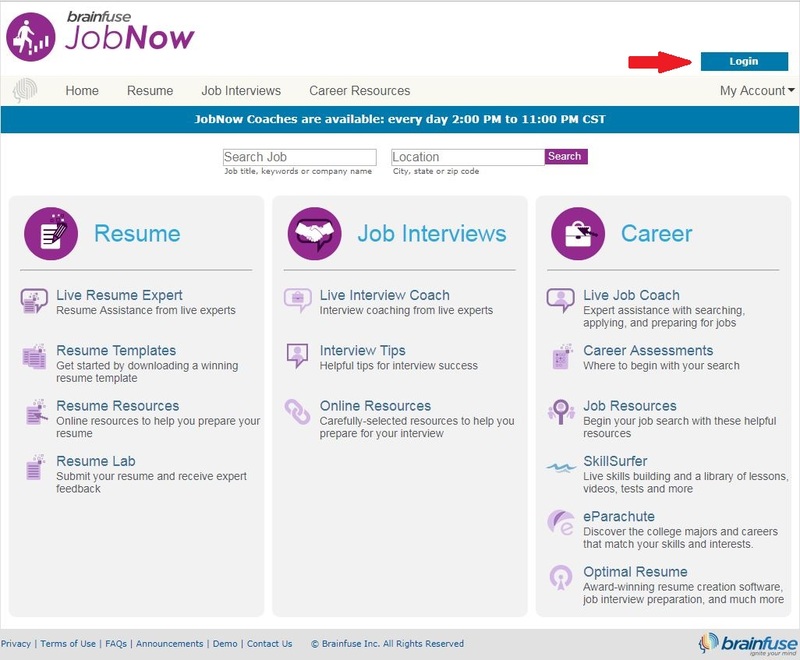 You can access these templates by clicking on “Resume Templates” in the “Resume” column on the left side of the screen on the JobNow homepage. The templates can be downloaded as word documents, so filling them in is easy! Optimal Resume is an easy-to-use resume builder. You can access it from the JobNow homepage by clicking on "Optimal Resume" under the "Career" column on the right side of the screen. There are hundreds of templates available with different styles and formats, some general and some for specific types of jobs. That or you can start from scratch and choose the sections you want to have (i.e. experience, education, skills, etc.) and then fill in each section. You can also use Optimal Resume to build cover letters. JobNow also provides lots of tips and strategies to help you nail the job interview. Click on “Interview Tips” in the “Job Interviews” column in the middle of the screen on the JobNow homepage. There are tips for before, during, and after the interview. Like the Job Coaches and the Resume Experts, you can also connect with an Interview Coach live in an online chatroom. From the JobNow homepage, simply click on “Live Interview Coach” in the “Job Interviews” column in the middle of the screen and you’ll be connected into a chatroom right away and an interview coach will join you instantly. JobNow also provides resources to help with workplace skills and exams or certifications for various types of jobs. Click on “SkillSurfer” in the “Career” column on the right side of the screen on the JobNow homepage. Here you’ll find lessons, activities, and practice tests for various topics. Topics include: computer skills in the workplace, business writing, prep for various career exams/certifications (i.e. nursing, electricians, public safety dispatchers, pharmacy technicians, etc. ), and much more! JobNow is an extremely useful database that is available for free for FRVPLD card holders. It can be accessed in the library and at home as well. Have questions, want more information, or want help using Brainfuse: JobNow? Please stop by the Information Desk, call 847-428-3661, option 3, or send an email at LibraryHelp@frvpld.info and we’d be happy to help you!